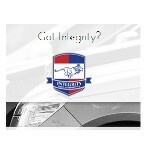 Integrity First Automotive is your local BMW, Audi, Land Rover, Mercedes, Porsche, Jaguar and Volvo dealership alternative in Salt Lake City, servicing all makes and models since 2003 and specializing in premium service. For a decade, we’ve provided this premium service to the Salt Lake County region with satisfied customers returning from the reaches of Salt Lake City, Sandy, Draper, Midvale, and Cottonwood Heights. Join Today to follow and contact Alvin Aldan.